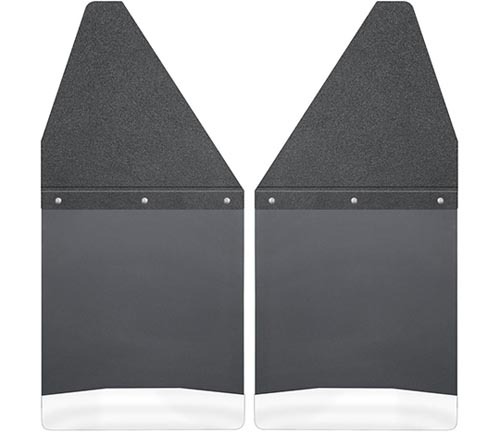 Stop mud in its tracks with our custom mud guards! Quality mud guards and flaps prevent mud, rocks and other debris from wreaking havoc on your fenders and keep your vehicle looking fresh. Our custom mud guards come in a variety of styles with different features -- like no-drill installation -- to best fit your needs and wants. Improve your vehicle's aesthetic and your driving experience with our custom mud flaps, flares and guards, guaranteed to keep it clean. Sometimes, you just have to get a little mud on the tires. On the right day, a mud-caked truck is a beautiful sight. But other days, a filthy vehicle isn't what you have in mind, and let's face it -- you don't have time to make a pit stop at the car wash. Let our mud flaps, flares and guards help you keep your vehicle clean when it counts. 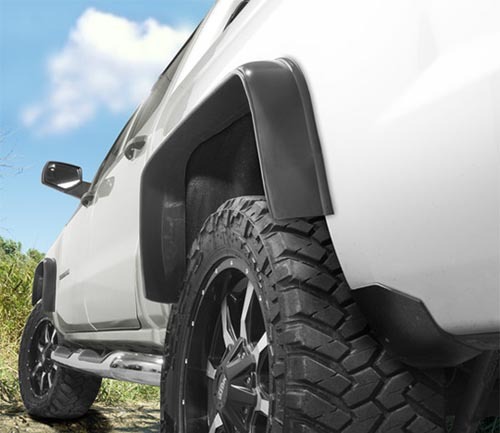 Our custom mud and splash guards, flaps and flares work to protect your fenders by deflecting dirt, debris, rocks and more. Durable construction means your guards and flaps hold up against even the toughest obstacles the open road throws them. Our guards can even be custom-molded to your fender to ensure the best fit and perfect coverage. Custom guards can even work with super-sized tires and offer additional clearance -- no sacrificing function here. With our variety of mud guards, you can easily find the best style for you and your lifestyle. 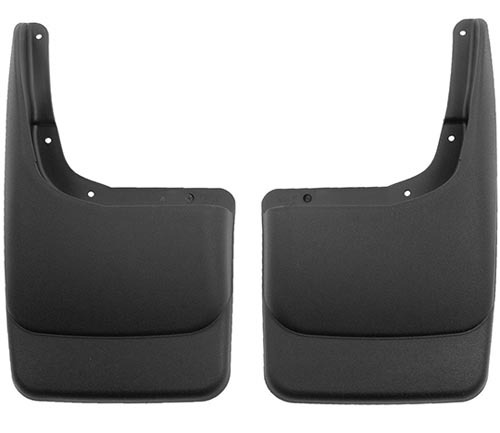 We offer easy-install mud guards, universal fit flaps, hitch flaps, easy-removal, no-drill and others. No matter what make and model you have, we have a mud guard to protect it. Keep your fenders filth-free and protect your automobile from pesky rocks and damaging debris with our custom-made mud guards.